» An Apple a Day Keeps the Doctor Away: Is It True? 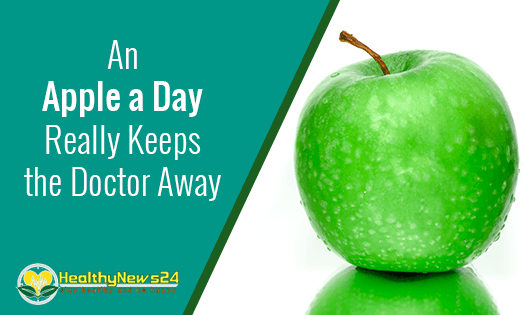 An Apple a Day Keeps the Doctor Away: Is It True? We all know the old Pembrokeshire, Wales’s proverb, “An apple a day keeps the doctor away.” But why did this proverb exist to begin with? Like avocados, apples are impressive fruits. Originating from Central Asia and the Middle East, apples are now grown throughout the world. Progressing through the centuries, they diversified giving us more geographically distant varieties and enabling more resistance to modern diseases. Though apples have 16g of carbohydrates and 10.4g of sugar they still have a low Glycemic index (GI) of 40. GI is the measurement of how carbohydrates affect blood sugar levels. In this day and age, there are fast food joints by the millions making it even easier to go out to eat, instead of cooking a healthy meal at home. This makes maintaining a healthy weight even harder in turn creating a less enjoyable life. 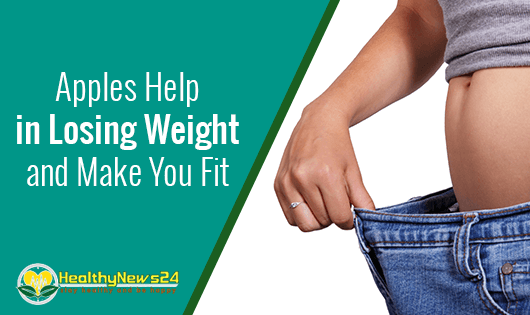 In Americans, one in four adults is considered over-weight. Balancing over time and the energy one uses help maintain a healthy weight. The weight gain and obesity occur when we do not use up the calories that are being taken in. Because of our American lifestyle and the fact fast food joints have been increasing since the fifties, culturally, we are now becoming more obese. These all are all leading to an increase in obesity. This inactive lifestyle is raising our risks to coronary heart disease, diabetes, high blood pressure, and colon cancer. But, apples are here to save the day​. Apples contain 17% or 4 grams of the daily intake of fiber. Fiber, like the laxative, has been known to help in losing weight. With the dietary fiber, chlorogenic acid, and low caloric intake, the apple has shown to be an aid in weight loss. One by-product of Fiber is pectin. Pectin is the complex carbohydrate created from the soluble and insoluble fiber. The high level of pectin derives from fiber makes the digestive process easier and lowers the chance of acid reflux. Pectin also removes the unwanted metals and toxins from the body, lowers cholesterol and reduces the risk of exposure to radiation. Soluble fiber's effect on the healthy bacteria or probiotics creates a loving environment for the intestines because no one enjoys being backed up. A healthy digestive system aids in lowering the risk for Crohn’s disease, ulcerative colitis, pouchitis, constipation, diarrhea, and cancer. Apples have had an inversely association with coronary disease, and its mortality, especially in women. Because these women ate more apples. The flavonoids found in the apple had positive effects on their heart, aiding in decreasing their risk of heart diseases. Because of antioxidants and fiber in an apple, it has shown to help the diet, heart, and digestion. Dietary fiber should be considered a super carbohydrate. Personally, I was surprised to find that fruit heals wounds faster. 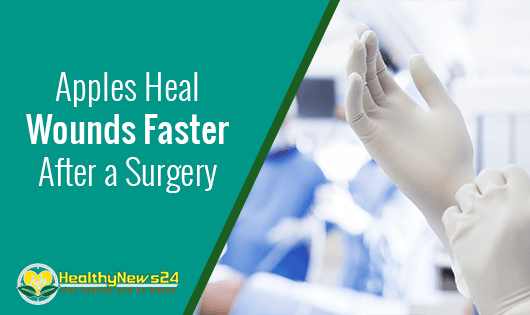 People with diabetes have a harder time with wounds and healing. My grandmother could stand in an ant bed and do not feel a single bite, because her diabetes made it difficult to feel anything in her feet. ​With this being the case people with diabetes have a higher risk of developing wounds such as foot ulcers, or pressure sores. When we are hurt our body works in overtime to heal. When we eat healthy foods rich in vitamins, minerals, energy and protein then we have a higher chance of healing faster. 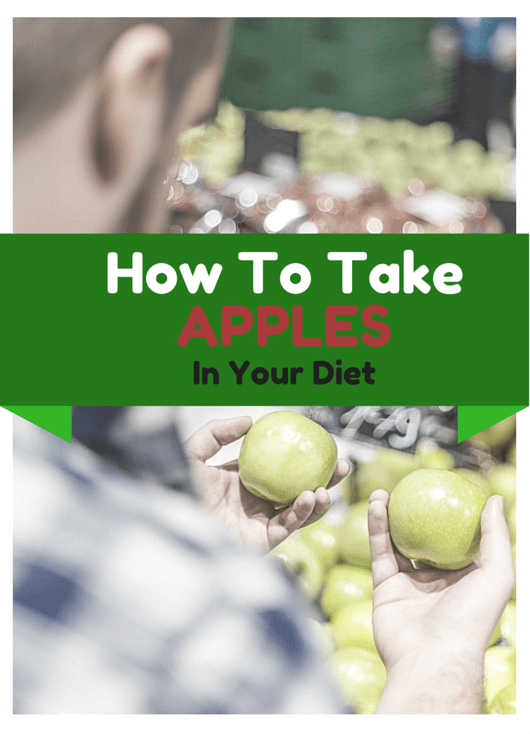 Because of their low GI, Apples have been found to help the dietary treatment of diabetes. Since apples help lower blood sugar levels they then aid in preventing and curing a wound. Apples were such a help because of the flavonoids-- --, or phytochemical content found in the them. Flavonoids in apples are beneficially associated with reducing the risk of asthma, and aiding in hypersensitive bronchial, and lung functions in adults. Among the aid and prevention of asthma in the mother and child, apples make pregnant women happy with the reduced risk of heartburn, and weight gain, as well as detoxification of the body. This super food really is a common, misunderstood superhero. Apples are rich in vitamin C which helps nourish our skin. With the rays of the sun, chemicals applied daily from makeup, lotions, and creams. It is no wonder why our skin looks as aged and bland as ever. But with vitamin C, the body is able to create collagen which is crucial to prevent vitamin C deficiency. ​If we do not obtain vitamin C's daily needed intake of 75 milligrams, our skin tears, breaks, and can re-open old skin wounds. We need collagen to keep the skins’ ﻿waterproof barrie﻿r. If animals are anything like humans then we would find that apples are exceedingly helpful in lowering the cholesterol levels. The study spoken about above in the heart disease section found that not only did the plaque buildup decreases, but blood cholesterol levels lowered in hamsters that were hyper-cholesterolemic . When it comes to old age cholesterol tends to always become a worry. But if elderly ate an apple a day, they would find their levels lowered substantially. One study found by researchers in the United Kingdom that apples may be a great source for a better lung function. Because an apple has high amounts of Vitamin C, E, and citrus. And these vitamins are increasingly helpful. Whereas some pregnant women have problems with apples and their reflux. But overall apples seem to be on the rise to the symptoms decline for people who suffer from GERD (or Gastroesophageal reflux disease). There are few clinical trials to support the claims that apples help with the GERD. It is known that apples have digestive properties to help reduce the chance of acid reflux. How do you take your apple? Apples can be taken in a number of ways. They are a very versatile fruit. Some apples are better for cooking than eating raw. You can juice an apple, cut it up and eat it raw, bake your apples with cinnamon and sugar or just add apple cider vinegar to the pot. Either way, apples are a fun fruit to add to any recipe. Though apples are considered to be overall completely healthy for you. It may cause some digestion problems for people. Personally, it was difficult for me to eat, or drink apples/apple juice when I was pregnant because like oranges they would give awful acid reflux. The ascorbic acid can cause reflux in some pregnant women. But this problem seems to be only in a select few. Apples are great for you. The old saying really is true. Whether you are young or old an apple a day will truly keep the doctor away. 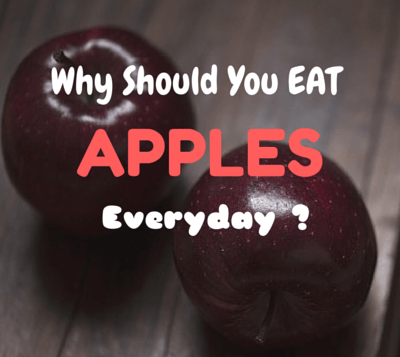 They are low in calories and energy, high in fiber, and vitamin A and C. Apples will nourish your skin, reduce the risk of asthma in your child, and possibly prevent cancer, and diabetes. Why would anyone be against apples? They truly are one of America’s favorite super foods. Previous Post 12 Proven Foods That Fight Depression: They Help Overcoming It Naturally. Next Post 10 Amazing Tart Cherry Juice Benefits For Good Health.